Julio and I have added a second gig to our Saturday schedule. 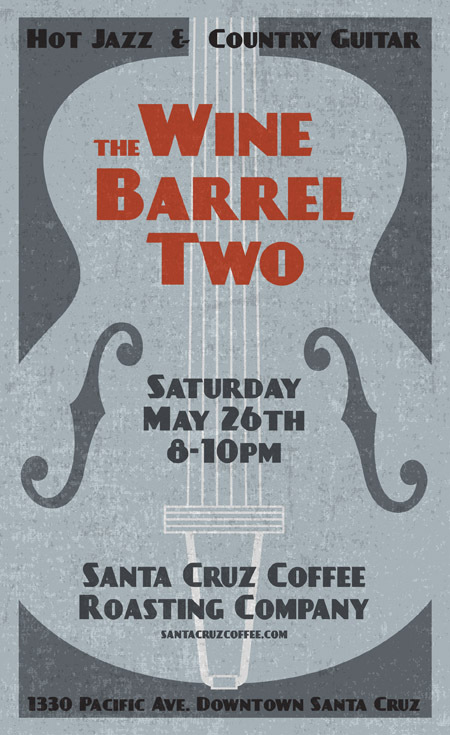 The Wine Barrel Two will still be playing every 2nd and 4th Saturday of the month, but now we’ll be playing at both Aptos Coffee Roasting Company and Santa Cruz Coffee Roasting Company. We play in Aptos from 10am to Noon and Santa Cruz from 8pm to 10pm. If you can’t make our morning gig, catch us downtown in the evening. It’s a guitar double-header! 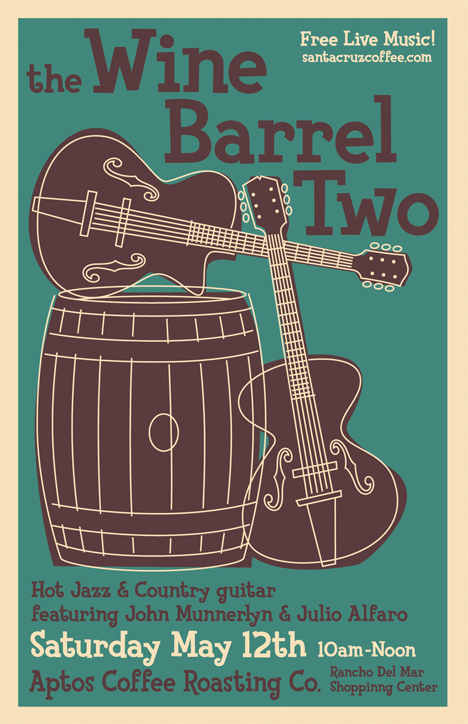 Introducing The Wine Barrel Two, my new guitar duo with Julio Alfaro. We will be playing the 2nd and 4th Saturdays of every month at the Aptos Coffee Roasting Company in the Rancho Del Mar Shopping Center (next to Safeway) in Aptos. We play from 10am to Noon, so drop by for a cup of joe and some live music.